Today, the Caribbean Islands are fast becoming a trendy location for those planning to say ‘I do’ to the person of their dreams. Many couples choose Caribbean destination weddings over traditional weddings because these are less stressful and more convenient at the same time. If you are planning to get married on a Caribbean island, then the Cayman Islands, which consist of Grand Cayman, Cayman Brac, and Little Cayman, offer a wonderful tropical setting for truly romantic weddings. Indeed, the islands are blessed with incredible natural beauty such as beautiful coral reefs, sandy white beaches, and crystal clear waters. This makes Cayman an alluring and fascinating destination for anyone who would like to get married here. Hence, it comes as no surprise that each year; more than 600 couples from various countries around the world arrive in the Cayman Islands to get married. Many couples choose Grand Cayman, but others also prefer tranquil and serene locations in Cayman Brac and Little Cayman to get married. Usually, visitors arrive by cruise ship and prefer to get married on island while their ship is in port. However, many couples even stay over after their wedding in the Cayman Islands for their honeymoon or an extended vacation. 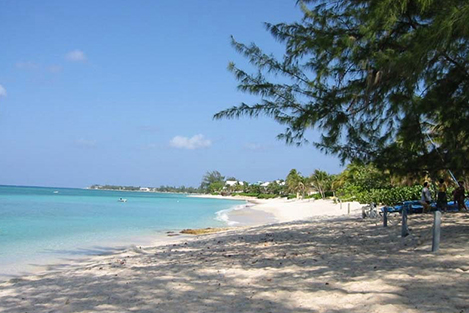 Here, we offer a few tips for stay over couples in Cayman. 1. Visit the Top Attractions: Since the Cayman Islands is a British Overseas Territory, the culture and ambience here is very British, but combined with a traditional Caribbean and Caymanian flair. Every couple surely feels special and extraordinary when they come to this distinguished island to get married. You will especially enjoy traditional hospitality while you visit the many attractions on the island such as Seven Mile Beach, Sting Ray City, Queen Elizabeth II Royal Botanic Park, and others. You can also make others back home feel envious that you were married in the Cayman Islands! 2. Enjoy A Perfect Honeymoon: You will find an ample number of property options for your honeymoon such as idyllic villas and resort properties, although several larger hotel chains also provide glamorous accommodation options here. Also, while you are in the Cayman Islands, why not enjoy some of the world class and breath-taking activities here such as diving, kayaking, surfing, water board sports, snorkelling, and others. Some of the activities, locations and sights here are unique only to the Cayman Islands, so don’t miss out! 3. Enjoy The Bounty Of Nature: Once you are through with your wedding formalities, you can spend your time enjoying your honeymoon along with the many natural attractions in Cayman such as Mastic Reserve, Mastic Trail, and Governor Gore’s Bird Sanctuary. Wind down a bit and relax in the lap of nature! Alternatively, relax on one of the many pristine beaches like Seven Mile Beach, Smith Cove Beach, Spotts Beach, Rum Point Beach, and others. 4. Go Shopping! Why not enjoy your time shopping for duty free items in George Town, and even bargains to high end items at this Caribbean shopping mecca. Alternatively, treat yourself to a rejuvenating and luxurious spa treatment at one of the spas in Cayman. 5. Be Closer To Home: Since the Cayman Islands are conveniently located in the Western Caribbean Sea, they are easily accessible from North America, Canada, UK, as well as Europe. The islands are only an hour and five minutes by flight away from Miami and are well connected to other destinations such as the United Kingdom and Canada. Hence, there is no need to travel long distances and you can save precious time and money especially if you are busy professionals back home. 6. Enjoy Cayman Cuisine: With over 200 restaurants in Cayman, you can dine out in a romantic setting after the wedding and be spoilt for choice at the same time. For a change, you can enjoy cuisine Cayman style, which includes food that is made with conch, yams, coconut, plantain, rice and peas, tuna, mangoes, and other ingredients such as Mahi and snapper. Also, enjoy food with a Jamaican twist that incudes curries, meat dishes and jerk seasoning. If you are planning to get married in the Cayman Islands, then a stay over wedding can be the best experience that you can have here! Apart from a flawless wedding, why not fill your days you spend in the Cayman Islands with moments that will last for ever. Good luck for your wedding plans!